For child support orders to be enforced there has to be laws or guidelines that define how each child support case should be handled. 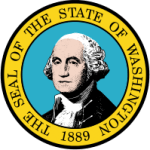 The revised code of Washington provides for such laws and rules that help to settle any child support dispute. Through this, orders can be enforced and custodial parents can apply for child support services and receive payments from the noncustodial parent. Judges and courts can make decisions on cases brought to them by referring to these laws.